Robert De Niro on Sunday introduces a performance by Bruce Springsteen at the 72nd annual Tony Awards at Radio City Music Hall in New York. The problem with Robert De Niro’s using the F-word against President Donald Trump isn’t the word itself — it’s the absence of underlying content. Punch-drunk, or maybe just missing the mark. The Academy Award winner dropped the F-bomb onstage during Sunday night’s Tony Awards, where he was supposed to be introducing the equally famous Bruce Springsteen. 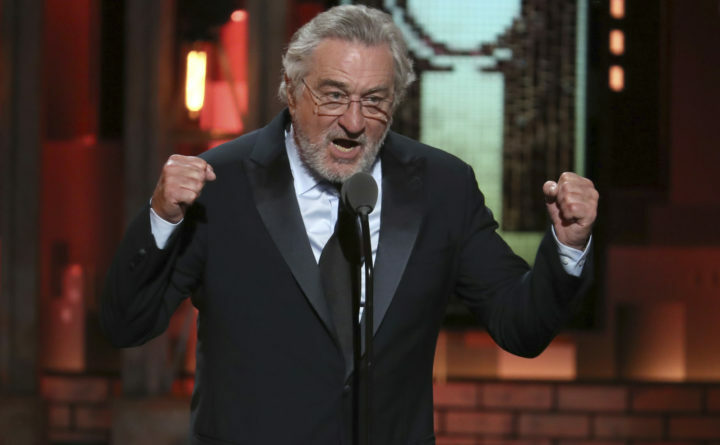 Veering off-script, De Niro declared: “I’m going to say one thing, F—- Trump.” He doubled down. “It’s no longer down with Trump. It’s f—- Trump. At this point, awards shows are generally understood to be glamorous fountains of not-particularly-helpful political commentary rather than go-to sources for incisive critiques. The practice of smug liberalism, with its divisive fallout, seems to reach its apotheosis during events such as the Oscars, Tonys and Golden Globes. Still, De Niro’s “F—- Trump,” much like Samantha Bee’s recent vulgar description of Ivanka Trump on the comedian’s own late-night show, marks a new and rather disappointing moment in our already embattled discourse. What’s more worth sighing over is the fact that statements such as these are contentless, and thus useless. They are sound and fury, signifying nothing — inflammatory eruptions that degrade the quality of existing discussion without building anything in its place. “F—- Trump.” Well, sure, if you must. Then what? It’s not clear that De Niro spurred the Tony Awards crowd (which, considering the estimated wealth and influence of its near-6,000 in-person attendees, might well be in a position to make some sort of change) to do anything but stand and cheer, and then proceed to the after-party. But how much can you expect from an actor, really? Well, more than these latest statements have delivered. In 2016, President Barack Obama awarded De Niro the Presidential Medal of Freedom, in part because of his work as a philanthropist, something that his latest attempts at discourse have obscured. Instead of just declaring “F—- Trump” from the stage, perhaps De Niro and those like him could climb down and do something about it. Christina Emba is a Washington Post opinion writer and editor.